Adam Heyes is right. 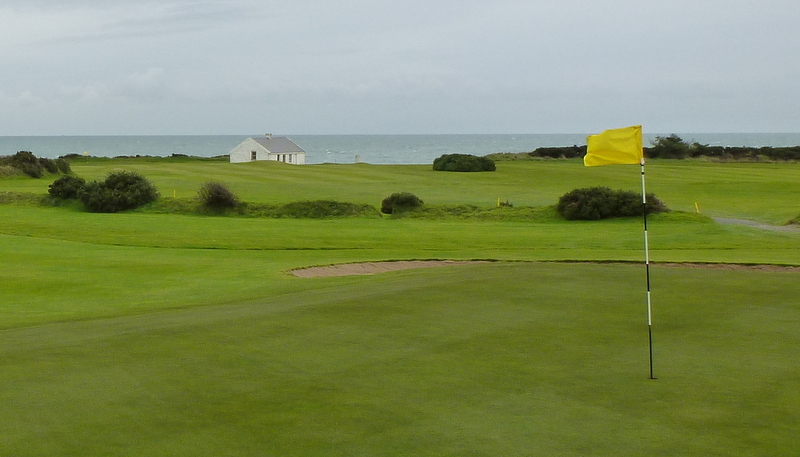 The golf course shown in the two photos in my previous post is Ardglass Golf Club, in County Down, Northern Ireland. In the photo above, Ian Duff, a longtime member, is looking for my ball to the left of the green on the second hole, a par 3 that plays over a chasm. The photo below shows a less perilous part of the same course. 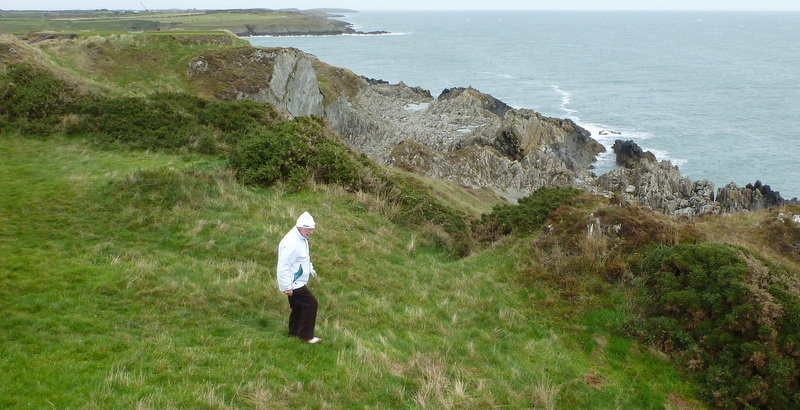 This entry was posted in Golf Courses, Ireland and tagged Ardglass Golf Club, Royal County Down by David Owen. Bookmark the permalink. Looks an awful lot like Tralee. 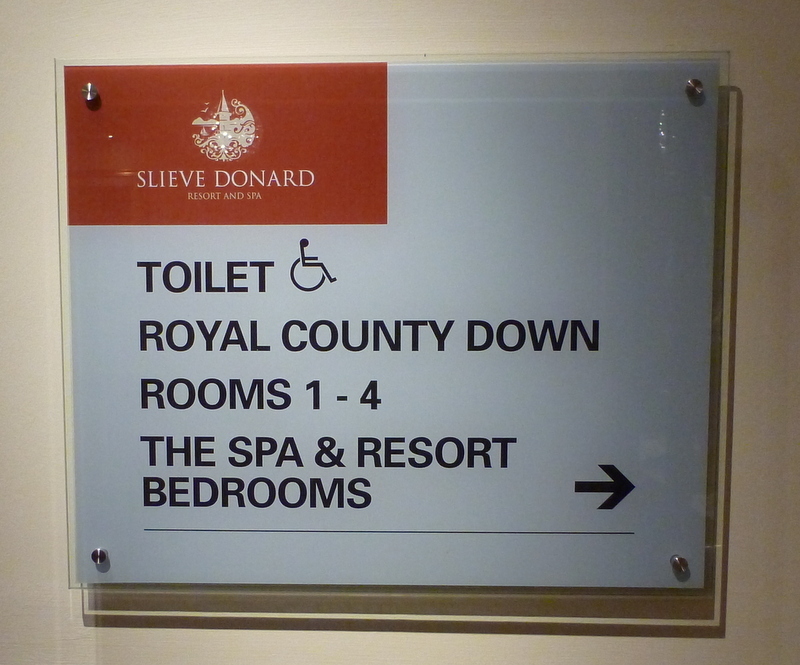 Have no idea what course that is, but from the last photo of the sign in the hotel, I was fortunate enough to play Royal County Down in September 2009. Most fun I ever had while gouging, scraping and hacking my way to a sterling 98. Great caddie, fun walk, what a day, what a golf course! I’d play RCD every day if I could. Love your blog. And your SMG seems to be a genuinely fun group of gentlemen. I thought Tralee too, but the castle there is behind the 3rd green, and it back to the water. Also, he wouldn’t have taken the Tarbert ferry between RCD and Tralee. 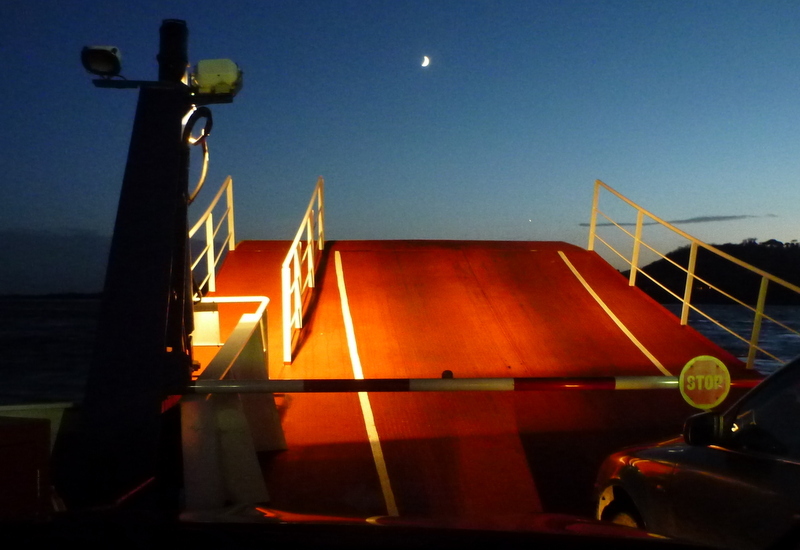 The only ferry I know of around RCD is the Larne ferry, so maybe the mystery course is in Scotland. To me, though, I think the biggest mystery is how he got the green light for a golf trip days (hours?) after the birth of his first granddaughter. Congratulations, David, on both accomplishments!